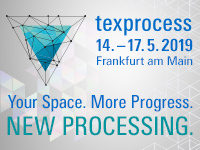 Euratex, the European Apparel and Textile Confederation, has presented its major initiatives at the Techtextil/ Texprocess fairs that took place from 4-7 May in Frankfurt. The sustainable use of resources is among Euratex’s key priorities for the years to come, therefore, special focus was given to the Energy Made-to-Measure (EM2M) campaign. Launched in 2014 by Euratex in collaboration with dozens of organisations across Europe, Energy Made-to-Measure campaign promotes key results of successful initiatives for energy efficiency in the sector. This aims at supporting the textile and clothing companies, especially SMEs, which are not fully aware of their actual energy consumption and of the saving potential, the organisation reports. 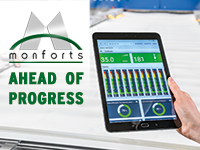 The campaign provides companies’ managers with tools, best practices and training to take informed decision to launch energy efficiency actions. Three international projects co-funded by the European Union – ARTISAN, SESEC and SET – defined the starting point of the campaign. In 2014, over 500 professionals participated in 21 campaign’s public events held in Italy, Portugal, Belgium, Germany, Croatia, Romania, Bulgaria, and Lithuania. With a new focus on energy efficiency in textile production processes, Energy Made-to-Measure in 2015 starts collaboration with the initiatives of two national associations of textile machinery manufacturers – the VDMA in Germany and the ACIMIT in Italy. The VDMA’s Blue Competence initiative supports sustainable textile production realised by more sparing use of resources and more efficient manufacturing processes. As a part of common communication efforts, Energy Made-to-Measure campaign was invited to present at the annual VDMA’s international press conference held at Techtextil in Frankfurt. The conference speakers introduced three concrete examples and best practices among the companies’ sustainable actions. Euratex representative Mauro Scalia focused on the campaign’s ambitious plan to empower by September 2016 300 textile and clothing companies to become more energy efficient. “Today’s presentations are just a few examples showing that sustainability is an integral part in the business of our member companies,” said Thomas Waldmann, Managing Director of VDMA Textile Machinery Association.